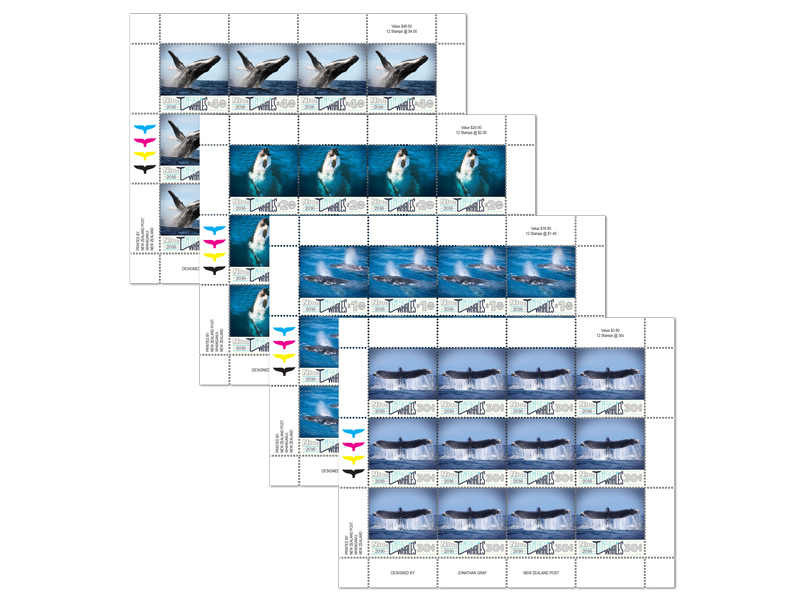 The humpback whale is the flagship species for the 2016 Secretariat of the Pacific Regional Environment Programme Year of the Whale - a campaign promoting the conservation of these impressive animals. 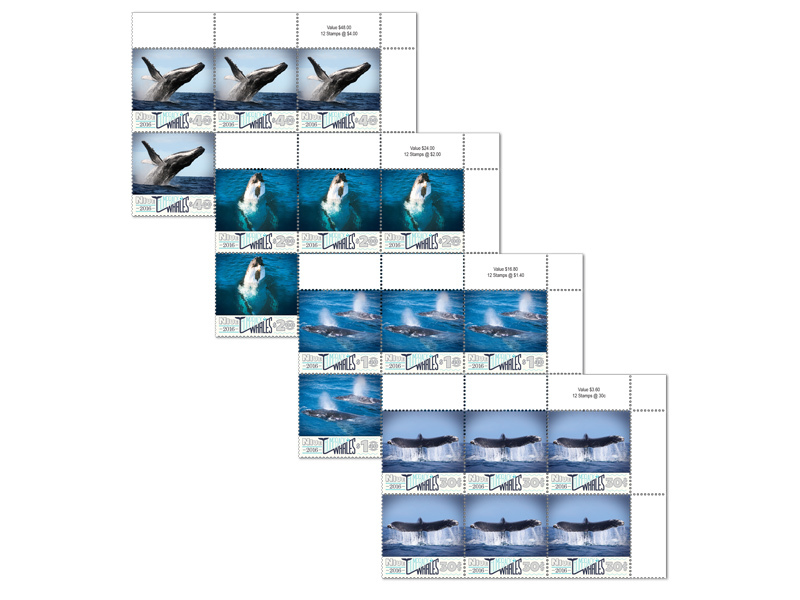 Humpback whales are well known for their spectacular breaching and beautiful songs, and each animal can be identified by a unique pattern of markings on the underside of its tail flukes. Humpback whales have a similar lifespan to humans, and undertake long annual migrations between summer feeding grounds in the Antarctic, and winter breeding grounds in the Pacific. 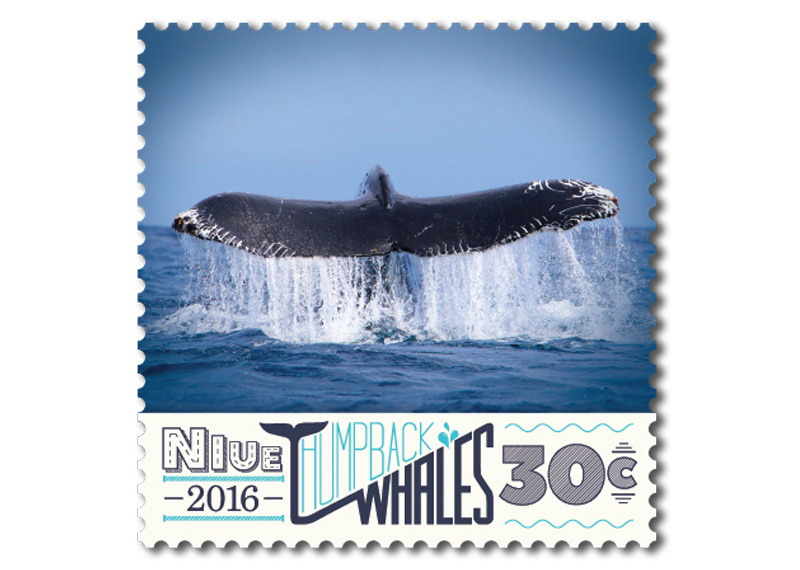 In the course of its life, a humpback whale will swim a distance equivalent to going to the moon and back. 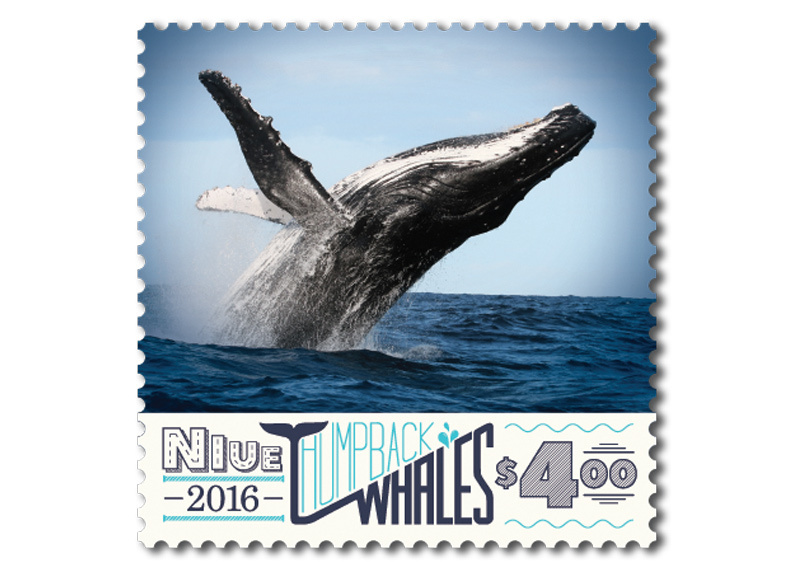 Each year from July to October humpback whales arrive in Niue’s waters to nurse their young. This is the perfect time to visit Niue and view the gymnastics of these spectacular creatures - sometimes just 20 metres from the shore. 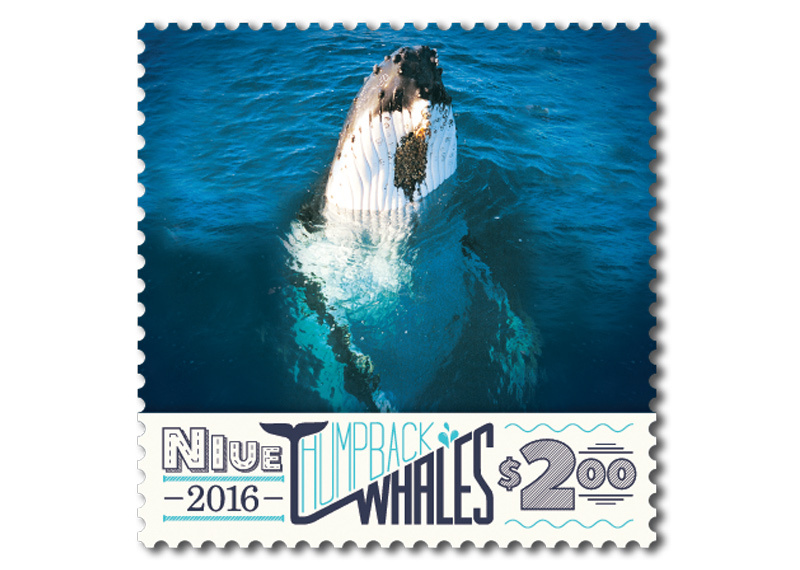 If you’re more adventurous, Niue is one of only a handful of places in the world where you are allowed to swim with the whales! 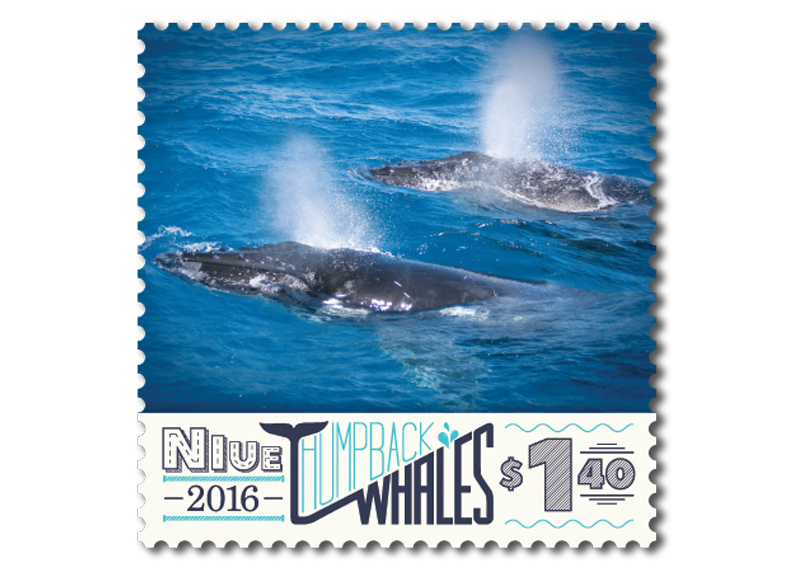 The four stamps in this special stamp issue feature humpback whales in Niue exhibiting a range of behaviours for which they’re famous. A humpback whale has eyes on either side of its head. In order to get a good look above water it raises its head and eyes to the waterline. When a humpback whale lifts up its tail flukes, it indicates that it’s taking a deep or extended dive. 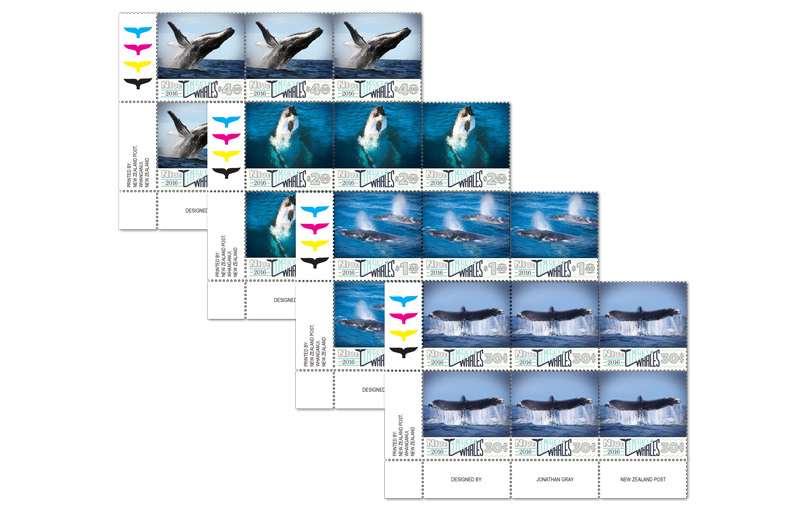 The unique markings and colour patterns on the underside of each whale’s tail allow researchers to identify them individually and track their movements across the Pacific. Whales breach for many reasons. When they slap their bodies on the surface it makes a loud sound that helps them to communicate with other whales. They also do this to remove parasites like barnacles, and for play. A humpback whale’s lungs are the size of a small car and when they exhale, warm air from inside the lungs mixes with cooler air on the sea surface and condenses, forming a mist that we call the "blow". 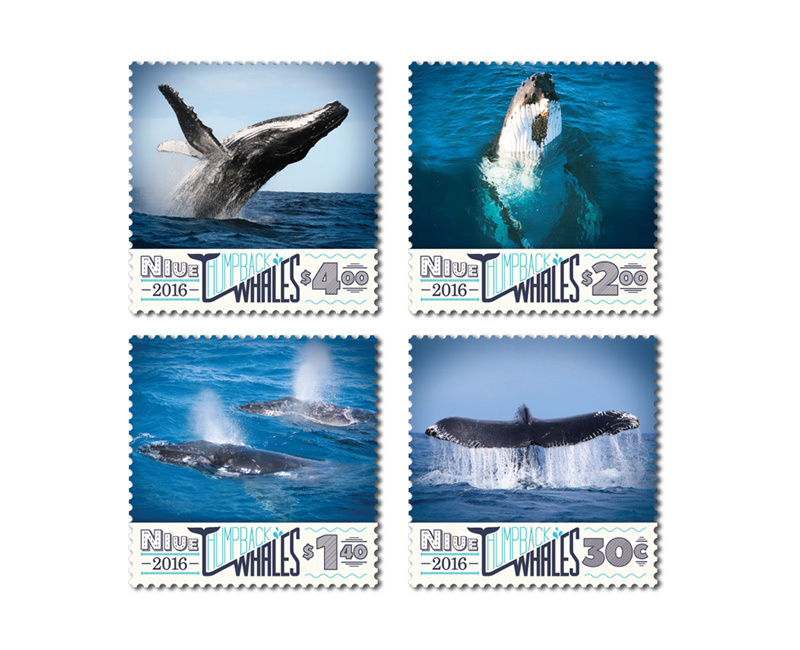 Humpback whales have two blowholes as opposed to toothed whales, which have one.